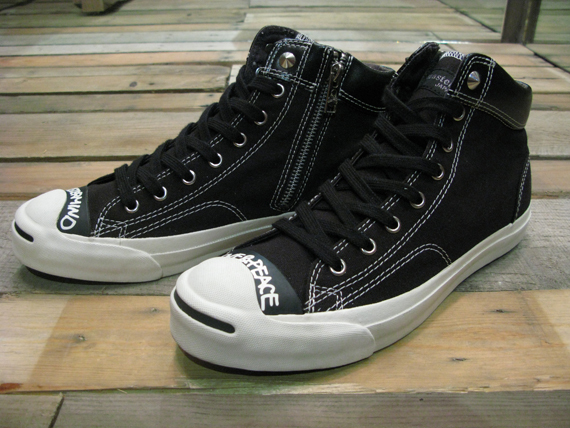 Converse joins forces with mastermind JAPAN on a special edition Jack Purcell Hi, new for the Holiday season. The shoe builds on the classic Jack Purcell model, with mastermind adding its signature touch through skulls and metal details adorning the shoe. 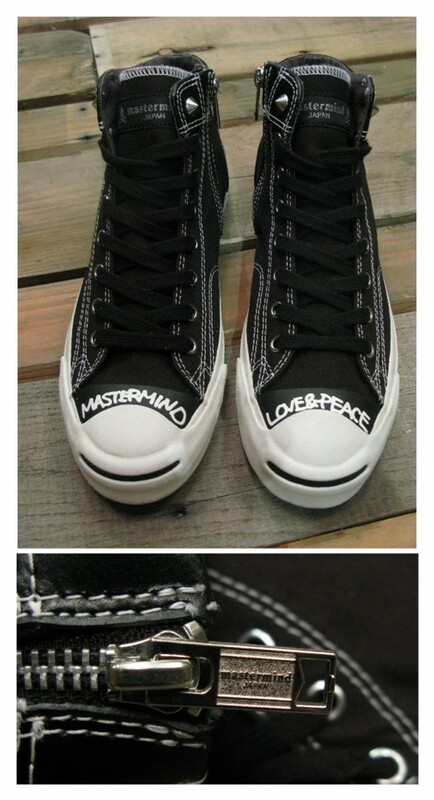 The black and white model also features a side zip entry, along with the "MASTERMIND" and "LOVE&PEACE" written above the toe caps. 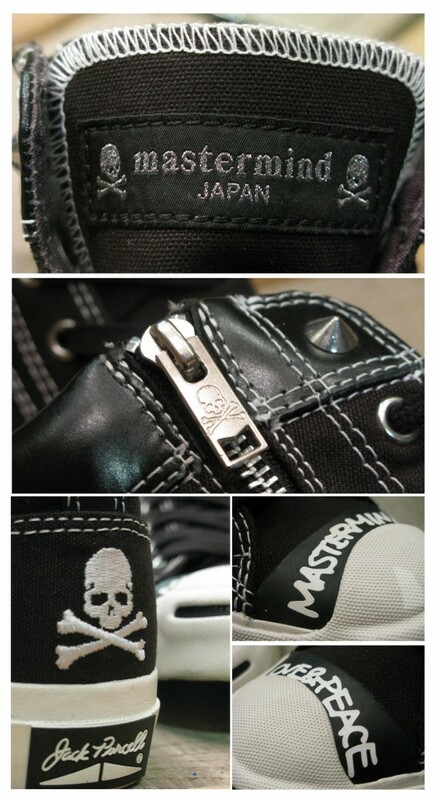 The mastermind JAPAN x Converse Jack Purcell HI is rumored to drop at select Converse accounts on December 1.